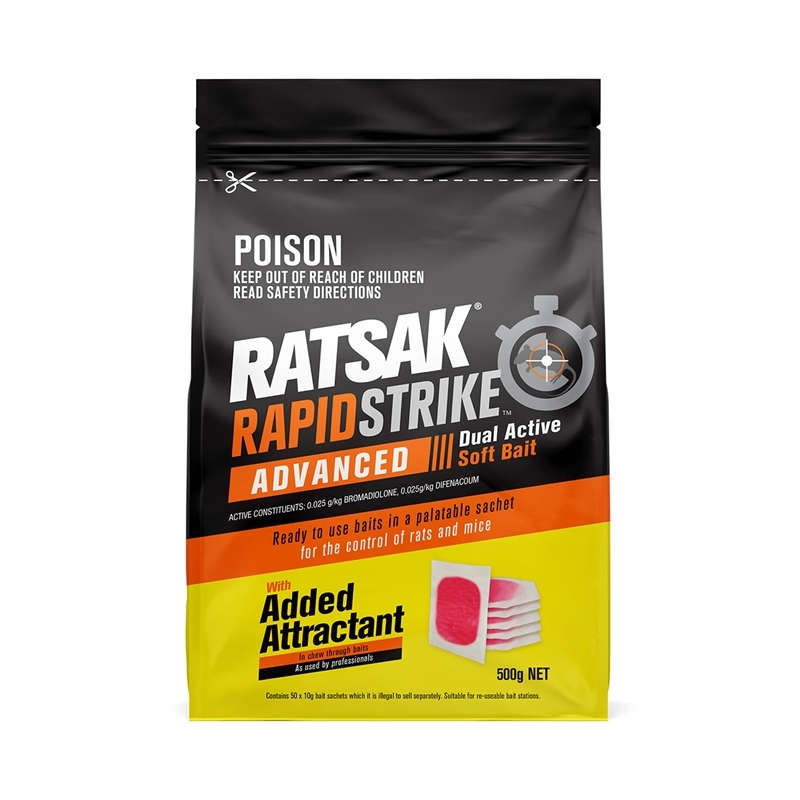 RATSAK® Rapid Strike™ Advanced Dual Active Soft Bait is a ready to use bait in a palatable sachet for the control of rats and mice with added attractant in chew through baits as used by professionals. 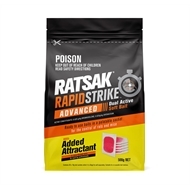 The fastest kill Ratsak® formulation available! 2 actives - Difenacoum and Bromadiolone combine for super fast, effective kill in enticing chew-through soft bait format.